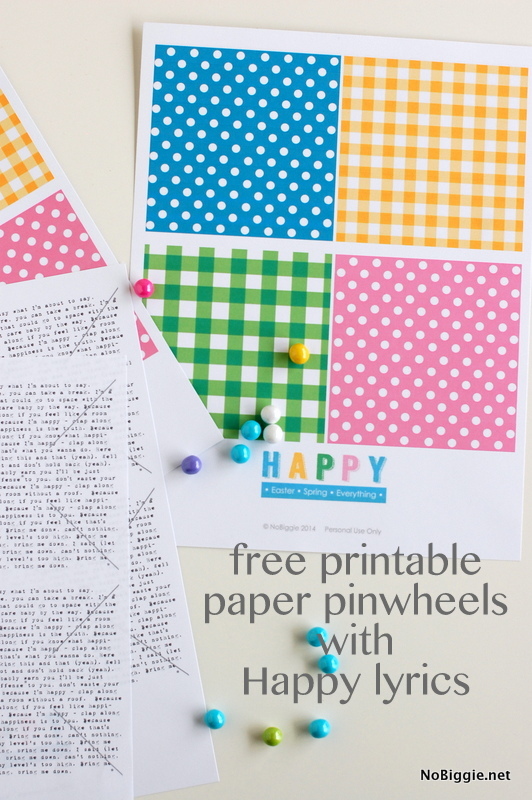 Happy Pinwheels – a free printable! 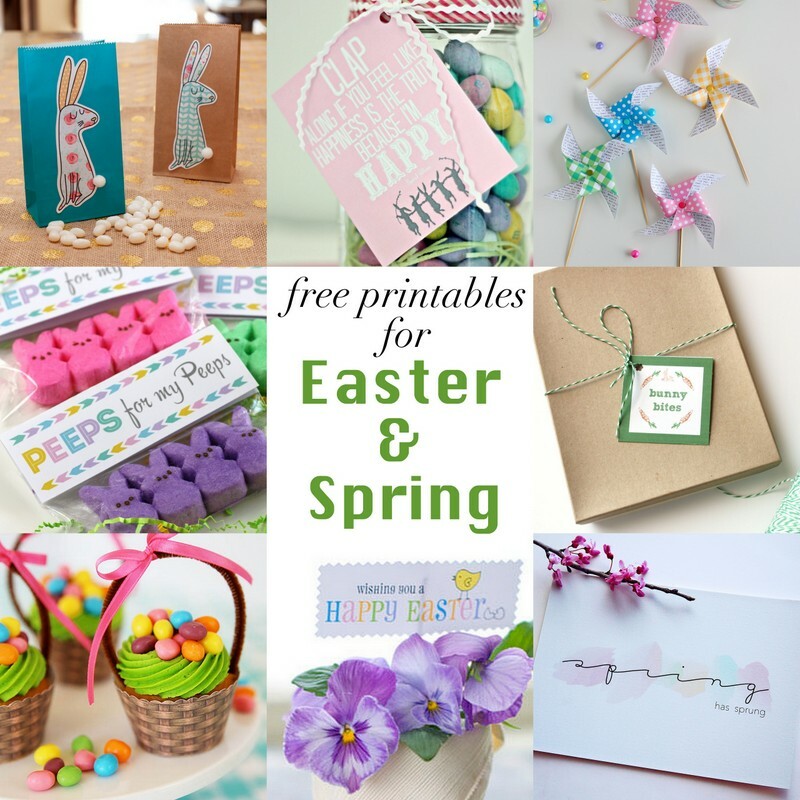 Back again with our monthly blog hop, bringing you 8 adorable free printables to help you celebrate Spring and Easter. 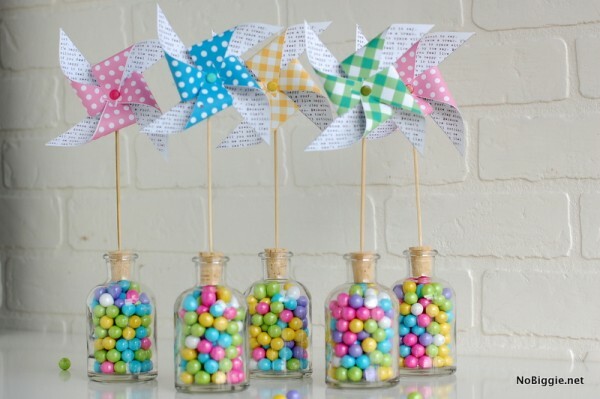 I’m so “HAPPY” (pun intended) to share these happy pinwheels with you. 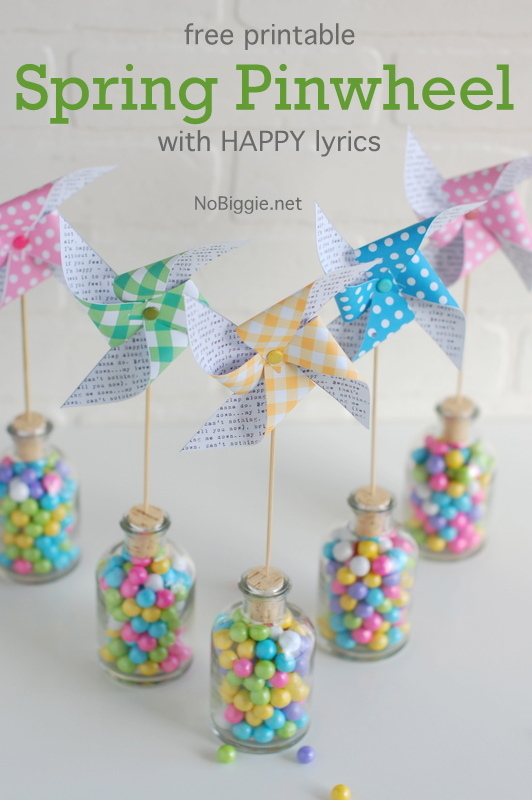 Pinwheels are so happy and they just make me think of Spring and warmer days ahead, so we designed these bright and cheery pinwheels with that in mind, only we added the lyrics to my favorite song right now – Happy by Pharrell. If you love this song like I do, then you know you just have to dance when it comes on. Here’s a look at all the darling designs this month. 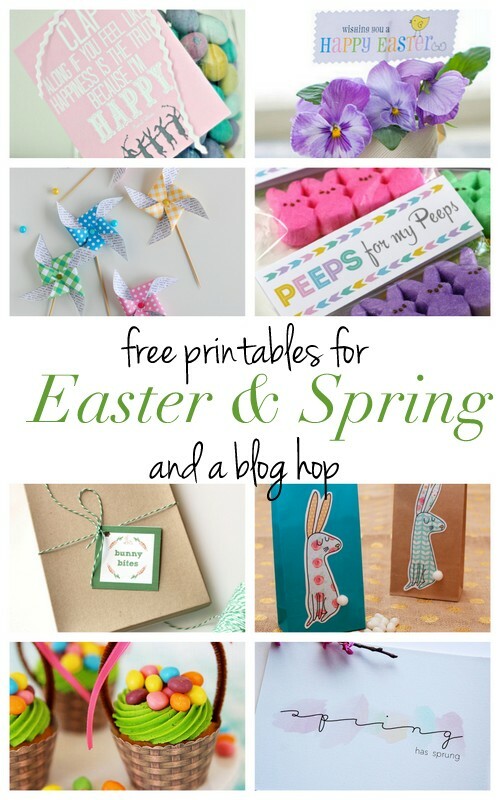 Be sure to hop on over to grab your free download for each one. I’ll share the link list down below. – If you have a duplex printer, you can print both sides out at the same time. – or you can run it through twice to get it on the front and back. 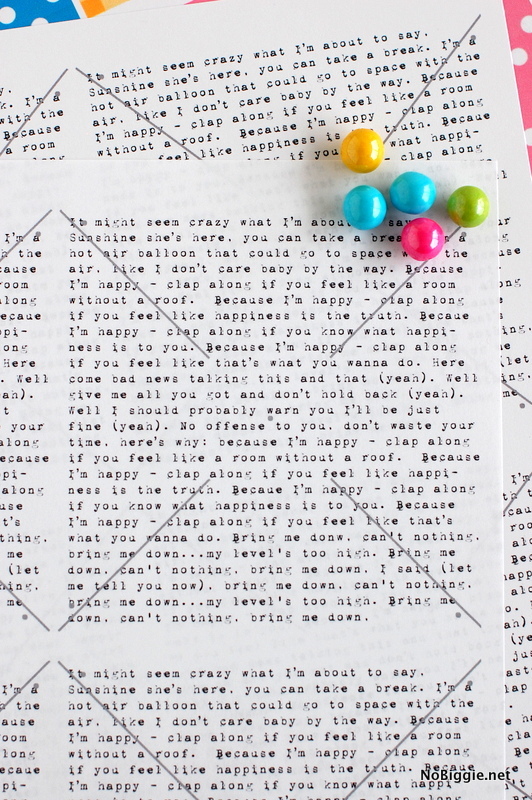 Here’s a look at the Happy lyrics up close. You know you want to sing along. 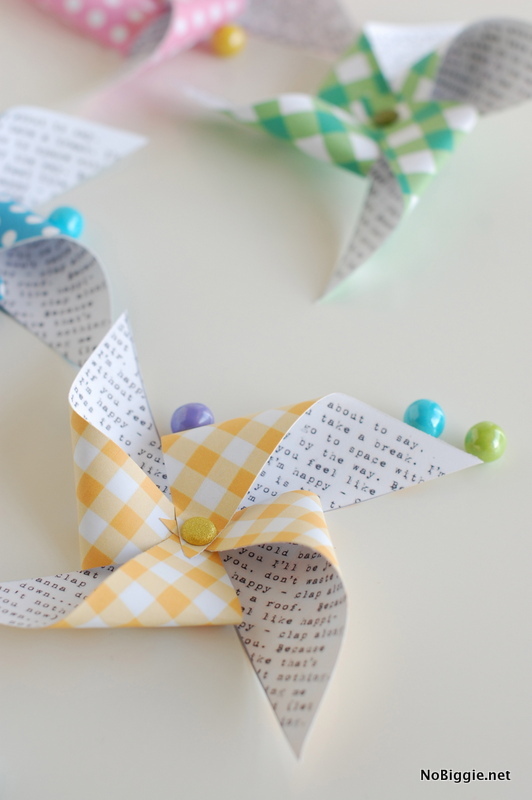 Now the folding of a paper pinwheel is really simple. To start grab a brad of some sort to poke through the holes. You’ll also need a long reach hole punch. I LOVE mine! It’s one of my favorite crafting tools. The long hole punch makes it easy to reach to the center of the paper. This printable has cut lines on it and you basically just cut on the diagonal lines, and punch one tiny hole in each right corner. Starting with one of the punched corners, just poke them one at a time through the brad finishing off with the center hole. 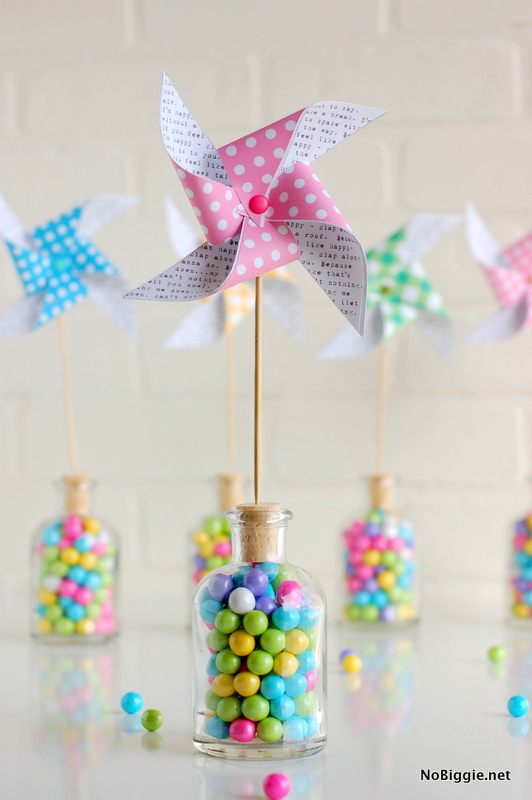 I used these pretty pearlized Sixlets from Sweet Works to fill the jars. I found the glass jars in the $1.50 bins at Michaels, and I added the little cork tops to each one. I just love how they turned out! 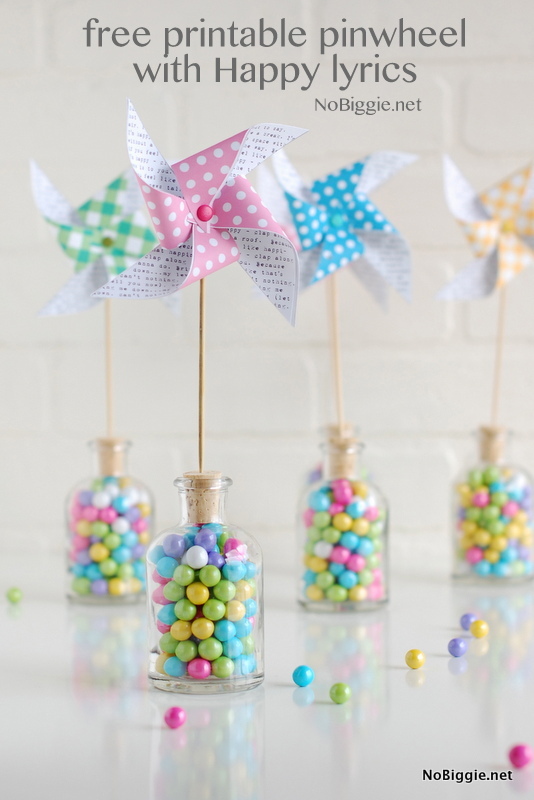 They would make adorable party favors, friend gifts or a pretty centerpiece for a Spring or Easter dinner. Here are all the cute designs to print out right at home. As you click through the link list below, if you get an error message, you can always click on the home page of the blog to find the post. 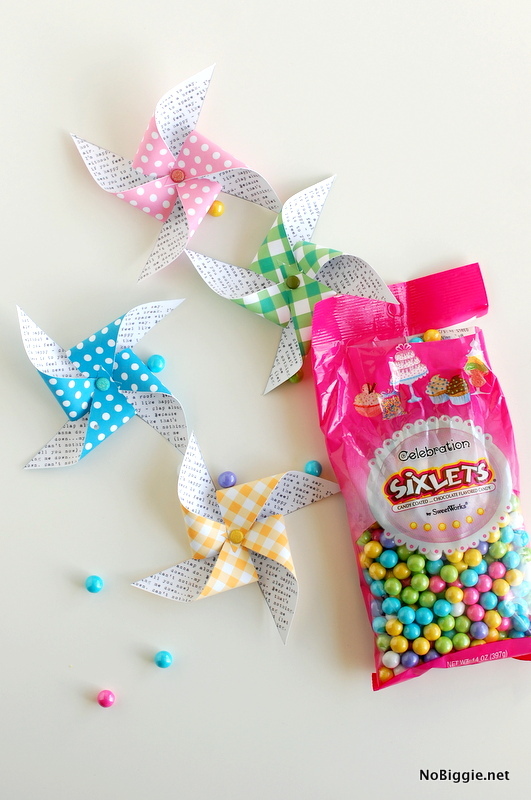 Click here to download the “Happy” Spring pinwheels.